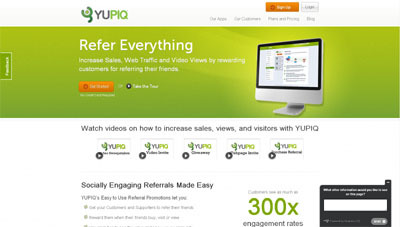 YUPIQ’s suite of promotions make it easy for Social Media marketers to reward fans when they get their friends to watch a video, view a link or use a special offer. Due to the high level of trust between friends these friend-to-friend conversations about a company are well received and highly influential. YUPIQ beats the competition because we are not focused on increases likes or Fans but on increasing conversions (Video Views, Webpage Views or Purchases). Also, YUPIQ integrates with YouTube, Viemo and Daily Motion. Our platform is also able to easily work with most online shopping carts though our easy discount code upload system.